Brad Pitt is back in the Oscar race with his latest film “Killing Them Softly.” Brad stars in this crime, gangster film with Ray Liotta and James Gandolfini. 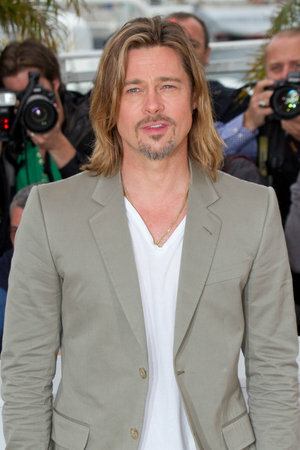 Pitt is now 48 and has six children with Angelina Jolie, who didn’t join him in Cannes. The couple, who alternate their movies so neither is in production at the same time, is currently staying outside of London while Jolie shoots a film in the area.